Located in the heart of the Santa Barbara's wine country near the Santa Ynez Mountains, the Danish Village of Solvang is 132 miles north of Los Angeles and 297 miles south of San Francisco. 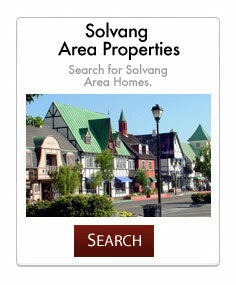 Named for its sunny weather, Solvang in Danish means "sunny fields" and averages 340 days of annual sunshine. Average annual temperatures are from 76 F/32 C to 54 F/12 C degrees. Dress is casual and comfortable. Early mornings and evenings are generally sweater/jacket time even in the summer! Solvang was founded in 1911 on almost 9,000 acres of the Rancho San Carlos de Jonata Mexican land grant, by a group of Danes who traveled west to establish a Danish colony far from the midwestern winters. The city is home to a number of bakeries, restaurants, and merchants offering a taste of Denmark in California. Mission Santa Ines, one of the California missions (National Historic Landmark), is located near the center of the town, at the junction of State Route 246 and Alisal Road. Thanks much in part to its unique half-timbered architecture, Solvang has become a major California tourist attraction, with over one million visitors per year. Tourists were initially attracted to Solvang by the visit of Denmark's Prince Frederik in 1939. But it was in 1947, following a feature article in the Saturday Evening Post, that they began to flock to the town. In particular, today's visitors appreciate the Danish windmills, the statues of Hans Christian Andersen and the Little Mermaid, the half-timbered houses, the Danish rural church, the Round Tower as well as Danish music and folk dancing. In addition, several restaurants and pastry shops serve Danish specialities. A replica of a 19th-century Danish streetcar, the horse-drawn H�nen ("the hen"), takes visitors on sightseeing tours around downtown Solvang. Partly as a result of the 2004 film Sideways, which was set in the surrounding Santa Ynez Valley, the number of wine-related businesses in Solvang has increased appreciably, attracting oenophiles to the downtown area.